This week our family Sunday dinner took on a Cilantro theme. As promised, I will continue posting the recipes from our Sunday dinner throughout the week along with more interesting tidbits about Cilantro. 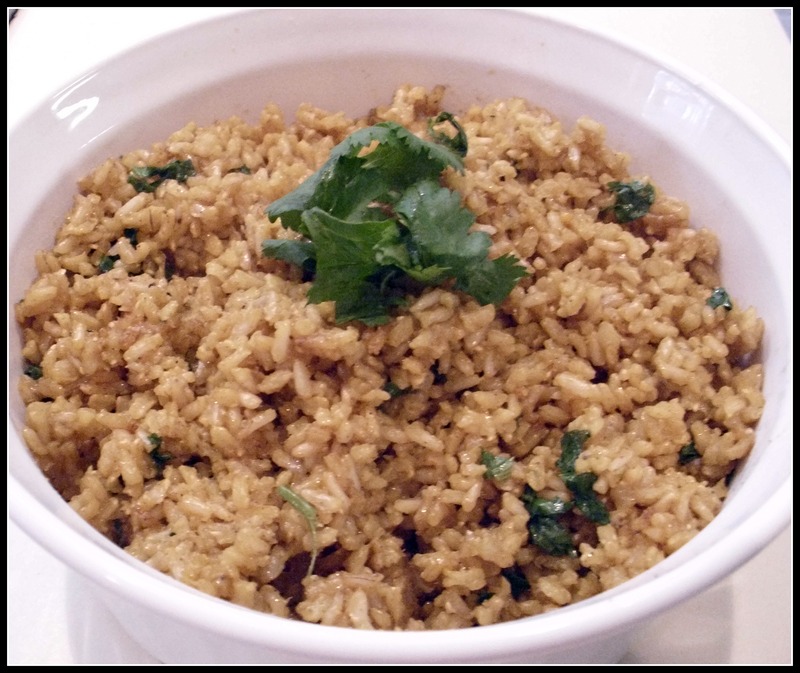 Below is recipe for the side dish from our Cilantro themed Sunday dinner…Spiced Cilantro Rice (that I served with the Cilantro Lime Shrimp recipe which I posted yesterday https://gypsyworldspicecafe.com/2011/03/27/creative-cooking-with-cilantro-day-1-cilantro-lime-shrimp/). Cilantro (also known as coriander) is a herb that is not only flavorful … it is loaded with health benefits. Cilantro is known to aid in digestion. Cilantro is known to stimulate appetite. Cilantro is used to prevent nausea. Some use Cilantro in a paste to alleviate painful joints. What will you be making with Cilantro? In a heavy saucepan, melt butter with olive oil over medium heat. Add shallots and cook until softened about 2-3 minutes. Add garlic and cook 2-3 minutes longer. Add the cumin and saffron. Stir for 1 minute. Add the brown rice. Stir for 1 minute. Bring to a boil (over high heat). Reduce to low. Cover and simmer until liquid is absorbed and rice is tender (about 40 minutes). Stir in cilantro. Adjust seasoning (salt & pepper) to taste. Rice looks so yummy 🙂 I need to try this recipe so good! Cilantro is my best friend! This sounds like a great recipe, thanks for sharing.